Running in Porto, Portugal. 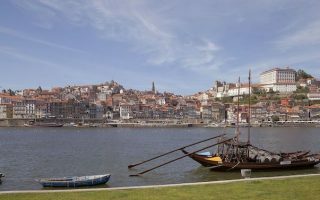 Best routes and places to run in Porto. Hills. River. Ocean. Beach. History. Good weather. 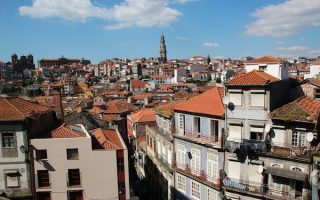 For those visiting Portugal’s second largest city and UNESCO World Heritage Site located on the estuary of the Douro River, running in Porto has it all. 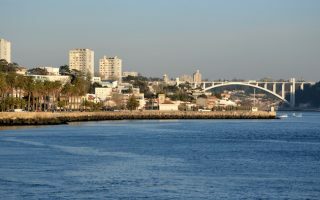 The signature runs in Porto are along each side of the Douro River, and three distinct oceanside promenades, including the nearly 20 km Gaia seafront, where you can run one way and take the train back! We also have a ‘runseeing tour’ of the the historical core, with its maze of narrow streets, walls, and fortifications. defined in the “Protected area”, and within it the “Classified area”, which comprises the medieval borough located inside the 14th-century Romanesque wall. Fun but a bit confusing for running. One of our favorite routes in Porto. 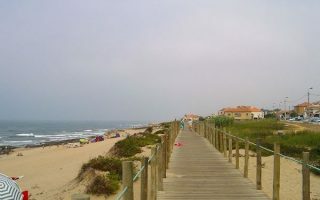 This is a 6 km one-way run along the Douro River, to the beach in Foz. Great river views and worthwhile landmarks along the way. At Foz, run out to the lighthouse. The Porto Bridge Climb is a bonus! Enjoyable 4 km beachside run, with water views and good path the whole way. The beach is also runnable. 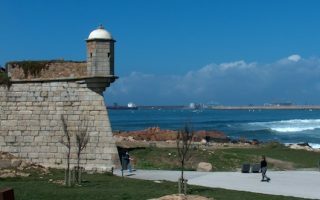 A highlight is the Castelo do Queijo, a fort overlooking the beach. This can be combined with several of our other routes in Porto. 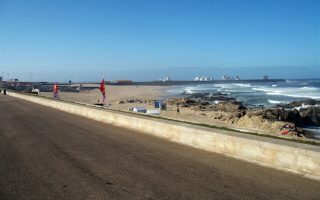 Fantastic run along the beach from Vila Nova de Gaia to Espinho with ocean views nearly the entire way. Mix of dedicated path, roadside bike path, and wooden boardwalk. Up to 20 km one-way, but opportunities to hop the train back to Porto. One of the more popular spots to run in the Porto area. Wide, sunny path along the water with views the whole way. Lots of pedestrians and cyclists. One cool feature is the Piscina das Marés, outdoor swimming pools on the beach. A 6-mile tour of Porto's historical highlights. It's a bit tough to follow, so use this as a guide to see some of the main sites while jogging -- walking tour map in hand! Best to go early as streets are narrow and there are crowds. At 83 hectares (200 acres), the largest urban park in Portugal and wonderful for running, with some 10 km of paths stretching from the central part of Portoto the ocean. Nicely landscaped, combination wooded and open, other good routes nearby. One of the main commercial thoroughfares in Porto is actually fine for running. 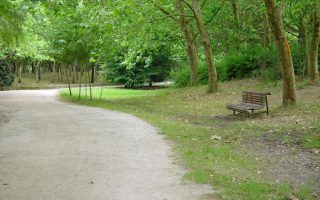 A tree-lined paved path runs along the median for about half of the 5 km route to the ocean. Out and Back or loop options. 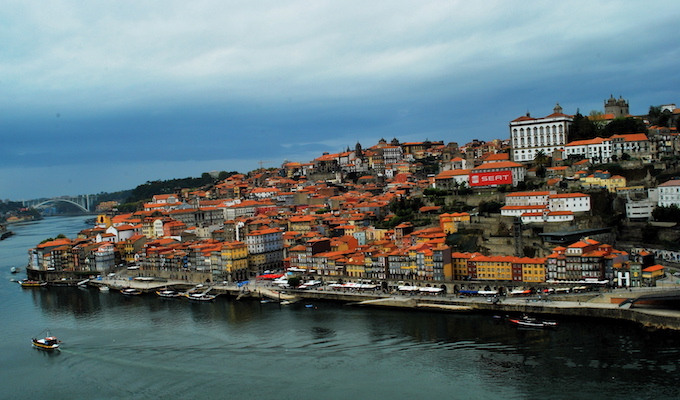 Porto’s weather is generally great for running, with warm, dry summers and mild but somewhat rainy winters. High temperatures in height of summer are not nearly as high as much of Portugal, averaging 26 C (80F) range, with cool-ish nights. Temperatures drop off to an average high of 13C (54F) in January, where nightly lows dip to 5C (40s). It rarely goes below freezing. Winters can be wet, as most of Porto’s nearly 1200mm (49 inches) of rain falls between October and April. 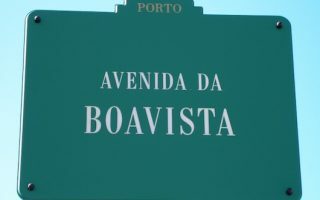 Porto is a popular tourist spot, so there’s a large selection of accommodations, at various price ranges. The largest cluster is near the older part of town, on the north side of the Douro River, to the east of the A1 (Arrábida Br.). Our recommendation is to stay as close to one of the Douro river paths or oceanside paths as possible, for good proximity to the best running. But the transport is pretty good, so you can also use that to zip to/from a favorite spot. There are not really any independent running stores in Porto, but there are outlets of Sportsdirect and Decathlon, two popular sporting goods chains that sell running gear. Also, outlets of Asics and Nike. See our Map on the Porto home page for location & info.